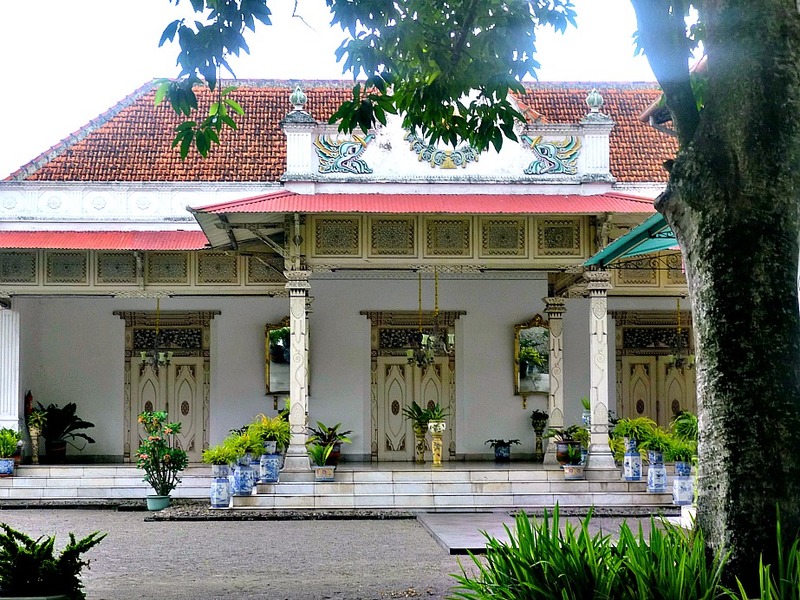 It was early morning in the chaotic city of Jogja when Dwi picked us up from the hotel to go to the Kraton Complex. Dwi was the driver assigned to us by Golden Bird, whom I called after our arrival. My father’s arthritis has worsened, and commuting was hardly feasible. was busy with vendors selling various products made of batik. However, upon going inside the first gate, there were a multitude of people: students. Dwi explained that May is the season of field trips for students, which explained the large number of students in Jakarta’s MoNas. He accompanied me to the ticket counter, where I paid IDR 3,000 for each of the six of us as entry ticket, and another IDR 1,000 as permit for every camera that we brought. We were assigned a tour guide, and I wasn’t sure at first whether it was rendered for free. I didn’t mind paying her, since I’d rather listen to the stories than read the labels with a large crowd of students with me. 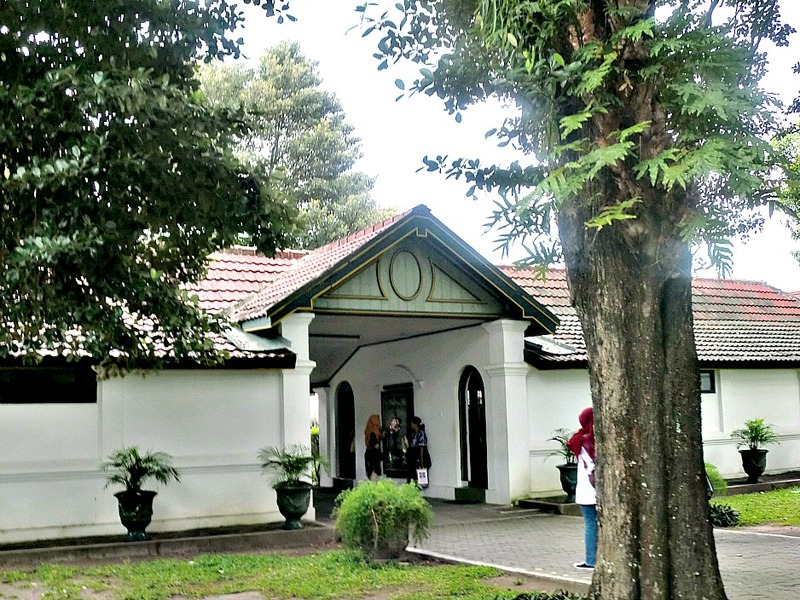 Two large doors welcome you to the Kraton Complex. Upon entering, you would see two buildings full of different things — musical instruments, chairs, a huge bird cage, etc. According to our guide, most of these stuff were used for ceremonies held for the Sultan’s family. 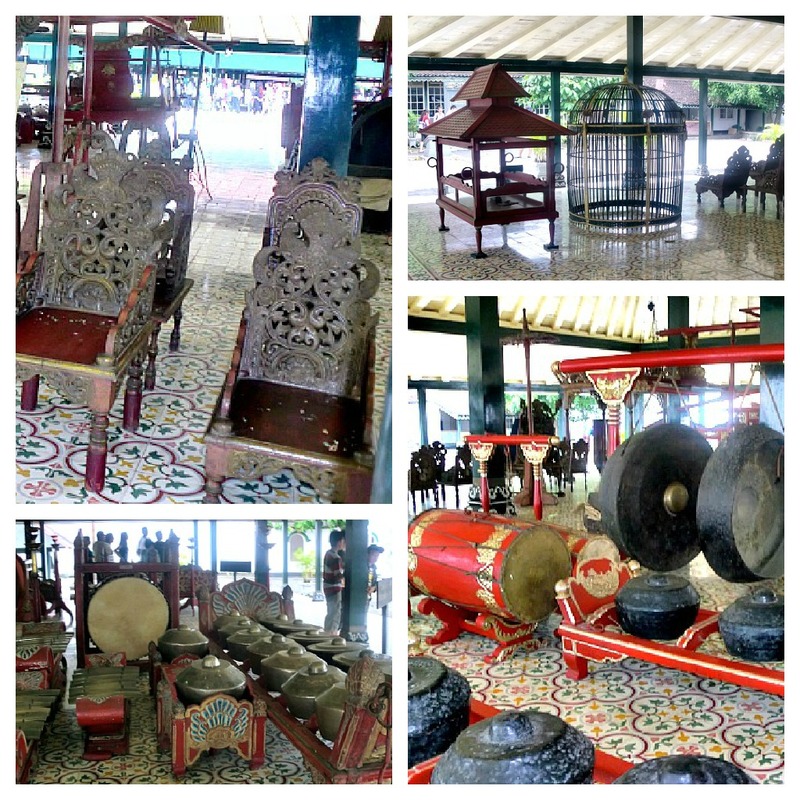 There was a gamelan, a musical instrument unique to Indonesia. There was what I thought to be bird cage, but as clarified by our guide, it was where a royal baby was placed to determine which path he would take on in life: money, politics, or knowledge. The chairs were for the the offerings (I thought these were chairs for kids, ha!). On to the inner courtyard, there was an empty big hall where the ceremonies were celebrated, including the wedding, baptism and circumcision rites of the family. 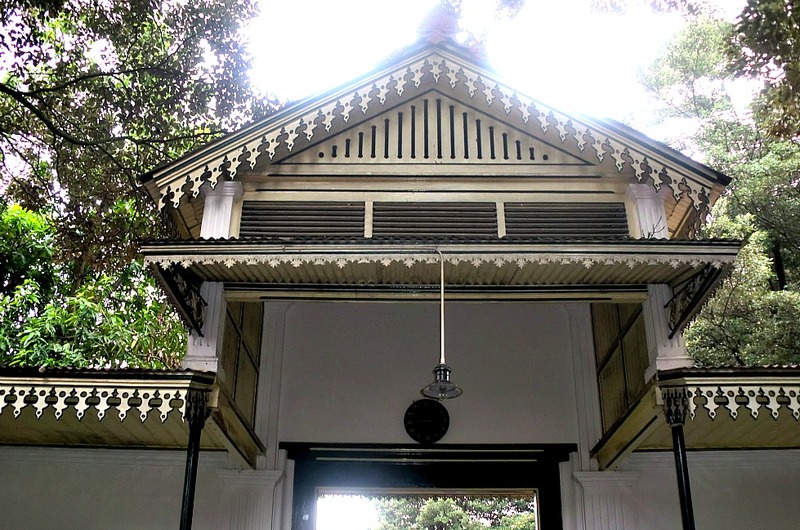 No one is allowed to step onto this hall, and silence was observed in the grounds because behind hall was the true Kraton, the one where the present Sultan lives. I was excited, and it felt surreal to be a few meters away from a royalty. We were then led on to a deeper courtyard, where previous royal halls were turned into museums. The first one we entered was about the history of the Sultanate of Yogyakarta. 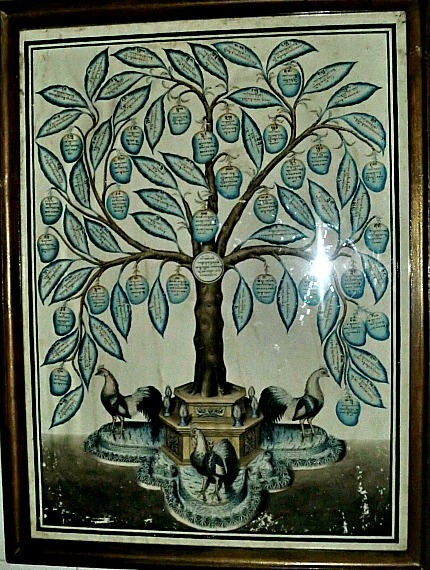 Here were family trees of the past sultans, where leaves represented daughters and fruits represented sons. The second one was for the current Sultan, where his portraits, along with those of his wife and children, were displayed. We then went inside a building dedicated to Sultan # 9, former vice-president of the country and one of Indonesia’s national heroes. 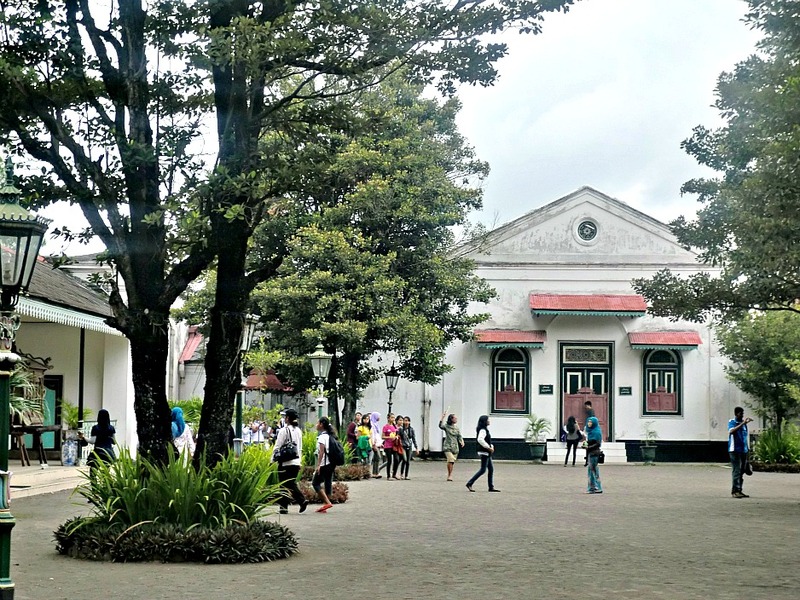 Here, it was shown how he supported Indonesia’s struggle for independence. At a nearby hall, more proofs of his nationalism were displayed. Along with these were various recognition from different countries, including the Order of Sikatuna as signed by President Marcos. Soon, we found ourselves in another room showcasing the gifts of multiple countries to the Sultan of Yogyakarta. 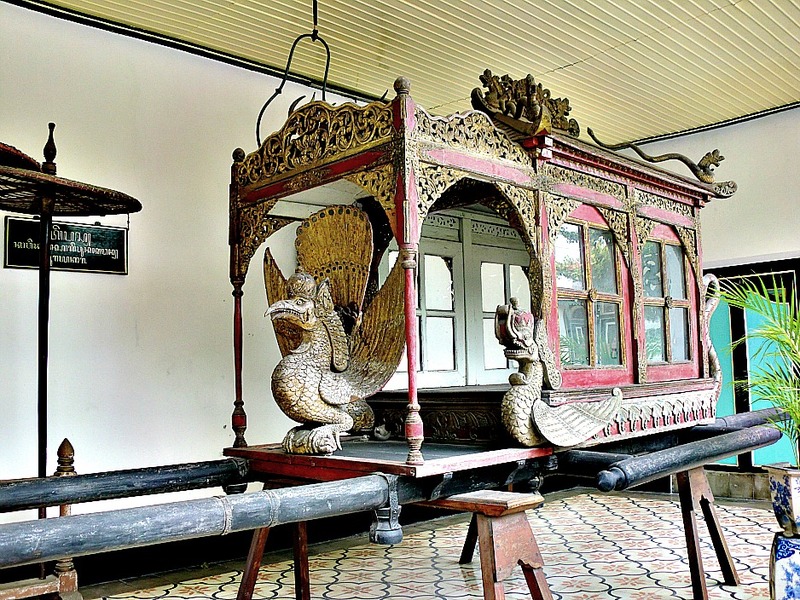 Outside was a carriage used for royal ceremonies. Thus ended our visit to Kraton. It was short, but was very informative — thanks to our guide! It allowed us to learn more about this ancient city, their rulers, and the royal life. More of Jogja next time!